medicines, foods and odor from production process. 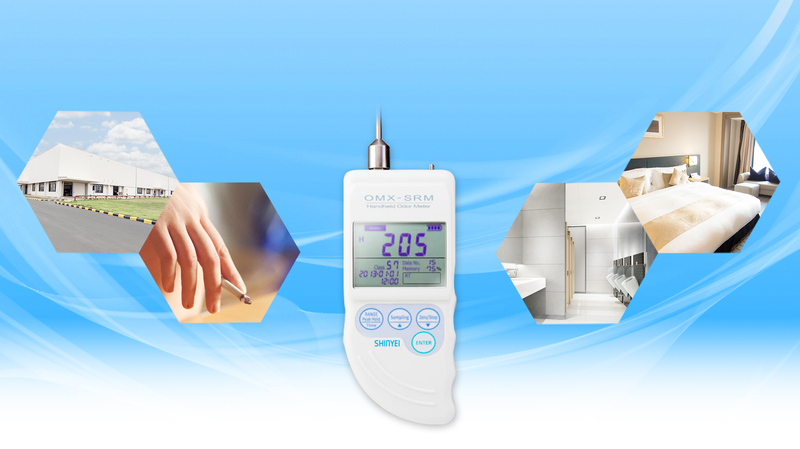 Handheld Odor Meter OMX-SRM is suitable for detecting odor in lavatories, measuring and sensing smell of cigarettes, medicines, foods and odor from production process. Display odor strength level in numeric values. Select two display mode of High and Low range. Display odor tendency in numeric values. Check the effect of deodorization before and after deodorizing. 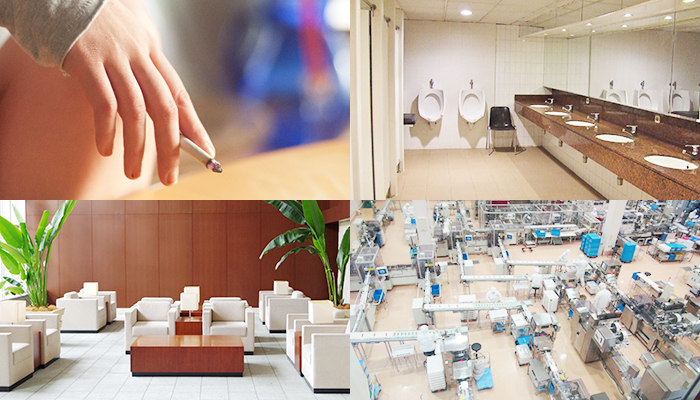 Measure odor level in lavatories before and after cleaning. Detect various odors in daily life. Monitor odor from production process in food factories. The numeric odor strength level is displayed continuously. High range is from 0 to 999, Low rang is from 0.0 to 99.9. Recommend use Low range for measuring low concentration gas, and High range for measuring high concentration gas. 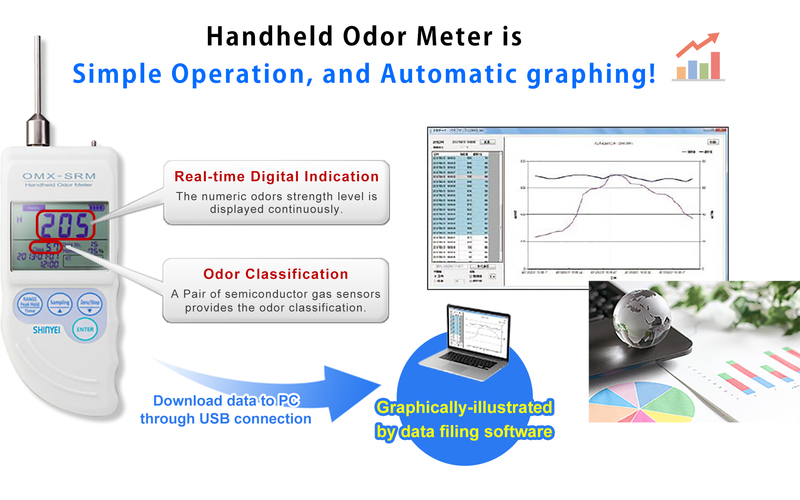 A pair of semiconductor gas sensors provides the odor classification. a) OMX takes odor sampling by using inner pump and shows odor strength level.The strength level is calculated by our original formula using two types of gas sensors that responds to different types of gases. b) OMX detects complex odor and convert it to odor strength level, which means it doesn't classify types of odor. c) The strength level showed in OMX doesn't correlate with human sense of odor. d) OMX does not detect odor well if the gas concentration is not high enough for the device. W74 X L167.5 X D35mm approx.